There is no doubt that what keeps bingo players coming back is a combination of the thrill of winning and shouting “Bingo!”, the anticipation of that final bingo ball dropping and the fact bingo is a brilliant night out! 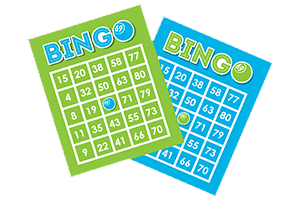 Playing online bingo retains all these qualities that make bingo so enjoyable, even the social element. For those of you that enjoy going out in a crowd to your local bingo club, you can find a lively and vibrant online community in your chosen online bingo hall. You can chat to other bingo players while you play and interact with you bingo host, who will help you, introduce you and answer any question you may have. There are many different online bingo sites to choose from and that’s the main reason why Bingopower exists; we want to help you to choose the best bingo site according to your requirements and priorities. We want you to have fun! Does the bingo site have a legal license? Is the bingo site legitimate? Is it part of a network or is it stand-alone? Can you “play on the go” (on your mobile device)? What type of bingo games does it offer? It is so important to consider all of these aspects because not all bingo sites out there are legitimate or honest, so doing some research is a good thing and that is the purpose of our bingo reviews. We try them out before they appear on our website and are rated and reviewed accordingly. Something to have in mind when choosing a bingo site is the welcome package they offer, as bingo sites compete in the acquisition of new players with awesome promotions, including free no deposit bonuses, first deposit bonuses and free bingo games.